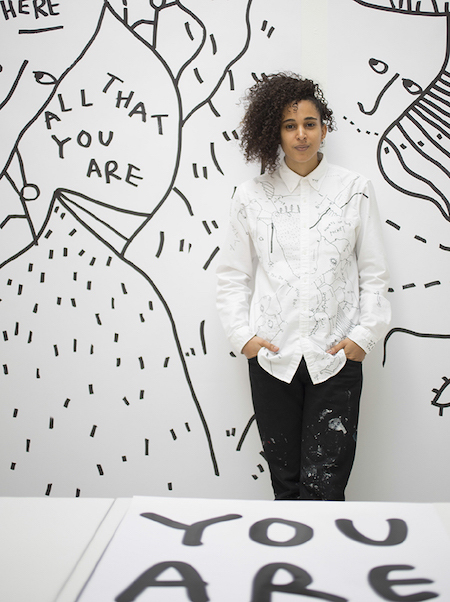 SHANTELL MARTIN is definitely one artist to watch. Young, fresh and rising like a meteor in the art world, Shantell explores art through her conversations and dreams captured on canvases, walls, found objects and luxury goods through collaborations with Lane Crawford and Kelly Wearstler. 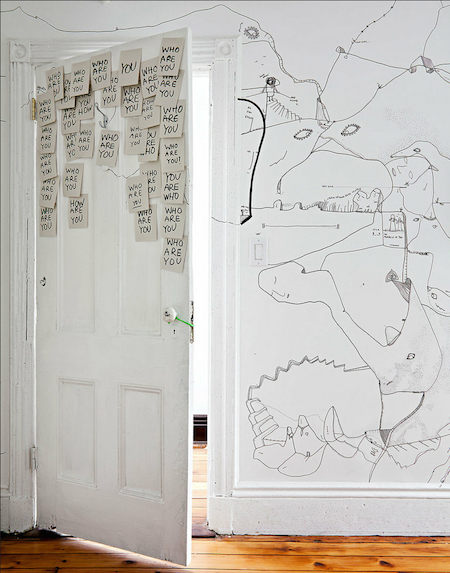 As shown here, she even used her bedroom walls as a canvas. 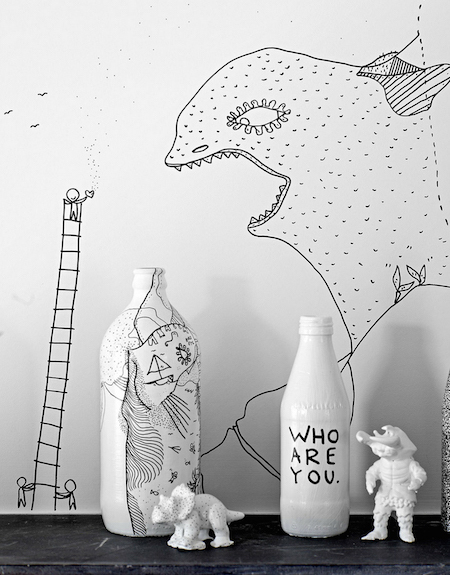 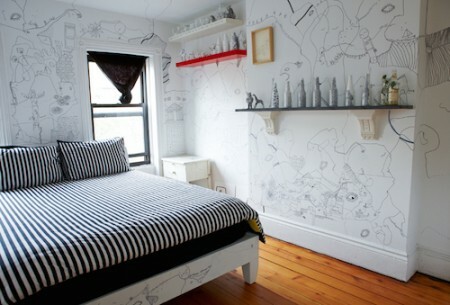 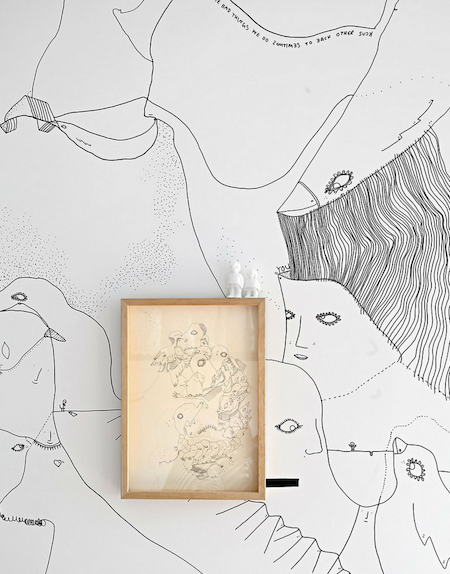 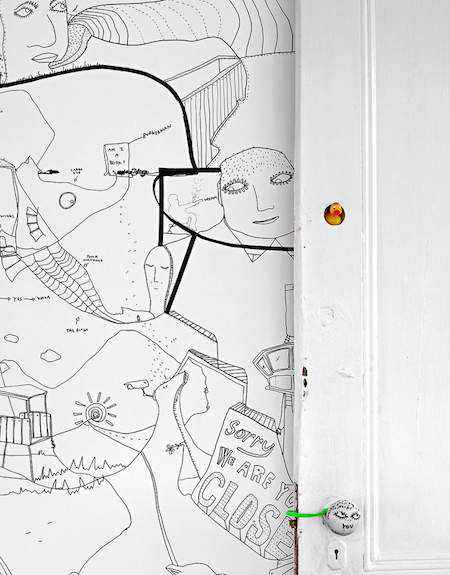 Many of Shantell’s pieces are reasonably priced, for now, so buy, buy, buy while you can still afford too!